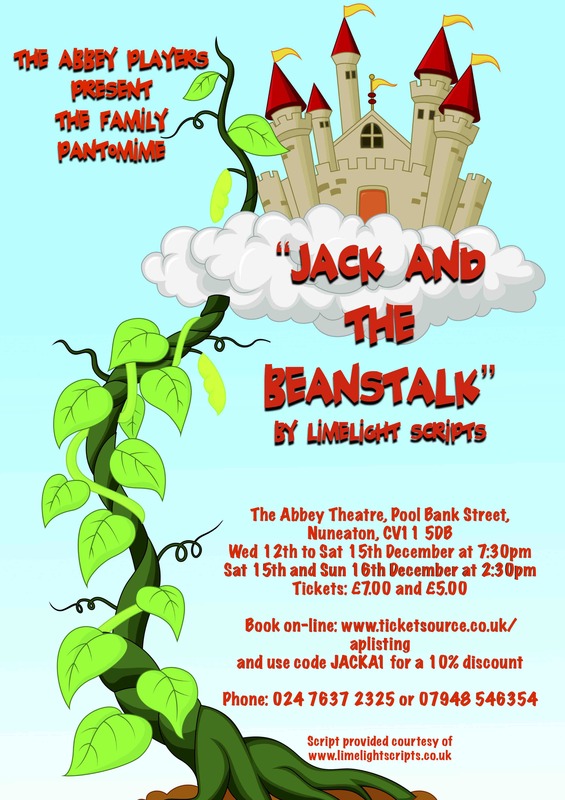 Abbey Players present "Little Red Riding Hood"
Fresh from competing and winning awards in national drama competition, the Abbey Players bring their ever popular pantomime to the Abbey Theatre. In this adaptation of the story, the villagers of Merryvale are being terrorised by Big Bad, a villainous wolf. Fairy Sparkles, who is normally the guardian of Merryvale, has gone away on a long-deserved holiday and her replacement, Fairy Dave, is not quite up to doing the job. In the meantime, Lord Dylan has arrived in order to marry Scarlett, the daughter of Baroness Rubena, but proposes to her sister Rose by mistake. With a pair of inept wolf henchmen, Scratch and Sniff, Grandma Ruby, and not forgetting Strawberry the horse getting in on the tale, expect a madcap ride of song, dance, and slapstick comedy as we discover who Little Red Riding Hood really is. This is the perfect start to the Christmas season for children of ALL ages from 5 to 85. "Oh NO it isn't, oh YES it is!!" The Abbey Players adhere to the Abbey Theatre's Minimum Age Policy. Children under 3 are not admitted as they may cause disruption to other theatre users. A ticket is required for every person entering the theatre.